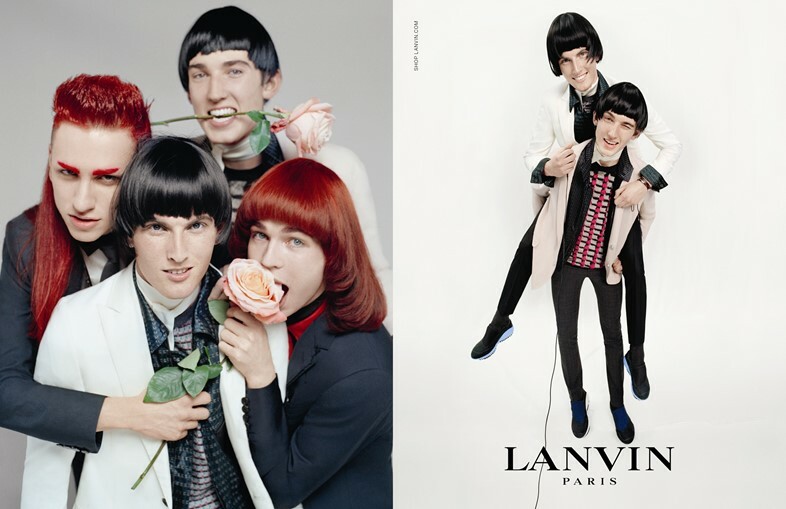 Lanvin is keeping it all in the family for its SS15 campaign, lining up three mothers and their daughters to model its latest collection – including cult Canadian model Kirsten Owen, who's been having an unprecedented resurgence at the age of 43, and her girl Billie Rose. Violetta Sanchez and Pat Cleveland complete the line-up with their equally genetically blessed spawn Luz Goldin and Anna Cleveland. Meanwhile, its menswear campaign references sibling ties and brotherly bonds, featuring brothers Callum and Haydn Rockall, and DJ duo Joshua Quinton and Andy Bradin. Guess beauty really is an inherited trait, huh? "Every time we do a family shoot, it feels like we’re going to their place: we feel like visitors," Alber Elbaz told WWD. Tim Walker shot the images, with Jacob K on styling. It's not surprising that Lanvin likes to keep those family ties in living colour: its logo depicts founder Jeanne Lanvin and her daughter Marguerite Marie Blanche holding hands. Read our show report for Lanvin SS15 womenswear here and menswear here.